Family Married to Lisa and have four grown children and six grandchildren. When we had a vacancy for State Senate earlier this year I was asked to return to public service and I honored to serve again. Prior to that I was a business owner and I served as your State Representative for six years. During that time I championed policies that promoted free enterprise, business growth and public safety. I prioritized education and helped to provided teachers and parents more say over the education process. I have been awarded “Champion of the Taxpayer” and “Friend of the Family” in large part because of my commitment to the taxpayers and families of my district. I love serving our community and have done that in many ways over the years both in and out of the legislature. I have worked diligently for our schools, our kids, our teachers, our neighborhoods, our small businesses, and you, the taxpayers and families of the district. My wife Lisa and I love the West Valley and it is my honor to continue serving you. Yes, I supported the proposal and was honored to be able to vote for it. I believe the economic growth we are experiencing is going to continue as long as we continue with right policies, we will be able to continue the teacher pay increases that have been projected for the next two years. We need to remember that the recession hit everyone hard. People lost jobs, lost homes or saw their homes devalued, but we are on the path of recovery. It has taken some time to recover, but we are moving in the right direction economically. If we continue on this path we will see our state revenue continue to grow even without tax increases. But we need to have a comprehensive plan for our K-12 system. Doing minor tweaks will not get us where we need to be to achieve the goals we want for our education system and our children. One of the best ways to evaluate a problem at the legislature is through the stakeholder process so all sides of an issue can be examined and the proper decisions can be made. Because of that I believe this is a question that needs to be asked through a stakeholder process. Most of those issues are based on an emotional response and none of them would have done anything to eliminate the shootings we have experienced in our nation. Passing restrictions that only make some people feel better but do not really address the problem will not help save lives. Sadly, this question has so many political aspects that it makes it hard to come to a real solution. I do support School Resource Officers (SRO) because I believe the only way to can stop a bad person with a gun is a good person with a gun. Taxes, like school reform, is something we need to evaluate with a long term strategic plan. In the legislature we tend to tweak the law, but when it comes to taxes we should take a holistic, strategic view so we have the end in mind. I am not convinced that recreational marijuana use would be beneficial for our state. With any law you need to look at the unintended consequences. I have talked with business owners who would be negatively impacted if this was passed in Arizona and they would look at relocating their businesses to another state. I am pro-life so I care about the life of the baby in the womb as well as the mother. I have voted for and support the steps taken to improve accountability and safety in abortion clinics and I believe it was the right thing to do. Fortunately, we have some people well versed in water policy considering this question. One of our top priorities should be to keep politics out of any decision that is made so the answers come down to what is truly best for our state and future generations. I am one of those who believe the fewer laws we have the better off our residents are. I have personally not heard of any problem with people of different sexual orientation facing discrimination. I am fortunate to have friends that are included in this group, but none of them have shared with me any problems they have faced because of their orientation. The First Amendment of our Constitution gives citizens the right to practice their religion without interference from government. Many try to use schisms to benefit their political position, but I do believe the old saying that a rising tide lifts all boats does apply to us economically as well. When businesses are growing they hire more people which generates income for both the people and the state. It also reduces our caseload costs at the state, which is beneficial for taxpayers. So economic growth does benefit all income levels. It is not on my legislative to do list, but if it comes up I will evaluate it. I am usually hesitant about anything that goes through this process because if laws are enacted in statute they can be changed in the next session. If they are passed at the ballot box they must go back to the ballot box for changes. We are now seeing possible unintended consequences with this Proposition and I question whether it was thoroughly evaluated before it was pushed forward. I believe our border needs to be secured. However, national defense is a federal issue and the courts have supported that by striking down efforts made at the state level. We can and should continue to communicate our concerns and the situations we face as a border state, but federal action is required to effectively solve the problem. Yes, I believe action was taken when the problem surfaced, and it was addressed. We should all be sensitized to the issue and, hopefully, it will not happen again, but if it does we should deal with it immediately. It has not gotten a lot of attention in the media, but our corrections officers need to have a pay increase. I know other legislators are aware of the situation and I hope it will be addressed in the next session. When issues are addressed from a politically driven agenda rather than a desire to solve the problem we can do more harm than good. This is just as true for those in the media as it is for those at the Capitol. This attitude only brings harm to our wonderful state. Yes. The first step in getting out of a hole is to stop digging. The Governor's 20x2020 plan has some significant problems, but it marks an important moment when state government finally paid attention to the growing public outrage over defunding Arizona’s schools. For more than a decade, Arizona has intentionally cut funds to public schools. The result has been the worst teacher crisis in the nation, crumbling buildings and overcrowded classrooms – all which negatively affect student learning. It took a high-stakes election year and a teacher walkout to finally get lawmakers to act. As a former teacher, and a three-term school board member, I have a 100% consistent record of supporting public education and will continue to do so forever. “How will we pay for it?” remains the key question on the teacher pay plan. If the InvestinEd initiative passes, that will provide resources. In addition, we can broaden existing revenue streams and boost the tax base by attracting higher paying jobs. Until we have stable and sustainable funding for schools, we must reverse the trend of shrinking the general fund through tax cuts for corporations and the expansion of tax credits and private school vouchers. No. Many citizens do not understand that charter schools are publicly-funded, privately-run schools which are not governed by elected officials who can be held accountable at the ballot box. Taxpayers should have access to information and be able to provide input into how their tax dollars are spent. Ultimately, all publicly-funded schools, district and charter, as well as private schools that receive state funding, should be held to the same standards of accountability, transparency and accessibility. For there to be true competition, the playing field must be level. Government should not rig the system to create winners and losers. Yes. We need a common sense approach to gun laws. The Second Amendment allows individuals to protect themselves, their property and their families. Government has a role in providing for the common defense and ensuring domestic tranquility. This means keeping unusually dangerous weapons, such as rifles with bump stocks, out of the hands of criminals, terrorists and the severely mentally ill. It also means closing the loopholes in our background check system. All citizens should feel safe in public places, such as offices, movie theaters, libraries, concerts and churches. As a school board member, no issue is more urgent or heart-wrenching. Our children should not be afraid to go to school. We can and should do more to protect them. The AZ legislature should fund schools so that they can afford well trained social workers and SROs, as well as controlled entrances and other reasonable safety measures. I do not support arming teachers. The goal should be to make Arizona more prosperous, not to arbitrarily shrink government. Tax cuts can be effective incentives. But they should be analyzed to ensure that they do, in fact, create a return on investment, and regularly revisited to decide if sustained cuts are necessary or effective. They should be used only as a tool to genuinely stimulate business and the economy instead of being used as a tool for winning elections. Arizona should be carefully studying the impacts of legalizing marijuana in other states. Voters will likely be the ultimate deciders on this issue. If it happens, I’d advocate for revenue generated to be directed toward public education, pre-K through higher ed (including community colleges). Legalization would result in lower costs for incarceration and more tax revenue for the state. Sentencing and DUI laws would need to be updated and enforced as would workplace policies. No. As in business, to fix a problem, we must address the root cause. The goal should be to prevent unwanted pregnancies. Better ways to reduce the incidence of abortion include, but are not limited to, providing more opportunities for women to be financially independent, strengthening families, promoting personal responsibility among sexually active adults, and ensuring access to information, affordable healthcare and contraception. Policymakers must approach water issues with a greater sense of urgency. We are in the midst of a 15-year drought and its continuation will affect agriculture, residents and the overall economy. Fortunately, CAP and the state have started conservation efforts in conjunction with other Colorado River users to help preserve the water in Lake Mead. Cities should be supported in updating or in some cases, developing, shortage plans and storing water underground. Residents and businesses, including agriculture, should be made well aware of the consequences of declaring a shortage and the contingency plans in place, and be allowed to provide input. Yes. I am an adherent to the Golden Rule. Discrimination is wrong. It is also bad for business. I would not support enacting a law that formally legitimizes discrimination. Private business owners already have the right to refuse service to anyone, so a law to that end would be superfluous. Again, discrimination is wrong. Businesses, government entities or organizations that get public money or support should not be allowed to discriminate. The best thing the legislature can do to encourage sustainable growth is to make significant improvements to our education funding. If we make quality public education available in all communities, by using a fair and equitable tax formula, we will produce a more highly-skilled work force and attract businesses that offer better job opportunities with higher salaries. Our goals should be to support mixed-income communities where people can experience social mobility, and to steer investment toward public infrastructure, including transportation, that makes Arizona a more attractive place for companies to invest and provides jobs. I’m an ally of Save Our Schools and I gathered signatures for the ballot measure. Unless and until Arizona can shore up resources for public education, no more tax dollars should be directed away from public schools which are already struggling. In addition, private schools are not held to the same measures of transparency and accountability; and are not open to all students. Therefore, they should not be funded by public tax dollars. The Arizona National Guard is at the disposal of the federal government. State government should be providing data from the state and municipalities along the border to our Congressional Delegation, which is responsible for immigration and border security. If the federal government is asking Arizona to provide services, Arizona should be compensated. Arizona does $15.4B in trade with Mexico annually. We must recognize the economic opportunities that exist for tourism; research and development; and commerce across the AZ/Sonora border. Arizona has much to gain if we can improve legal cross-border trade and facilitate legal border crossing for tourists. The Arizona Mexico Commission has laid the groundwork for much communication, collaboration and cooperation. The two countries, and state law enforcement agencies can exchange technologies and information that will make the border and the surrounding communities safer. We'll see. it is encouraging that the House took action against one member who clearly behaved disrespectfully toward a colleague. But, I am not yet convinced that the legislature has put in place systems to address such behavior in the future. Arizona relies on its climate to drive tourism, residential growth and business. I don’t believe legislators spend enough time working to ensure quality of life and business viability when our environment is destined to become drier and warmer. Arizona is poised to be the epicenter of innovation for technologies and systems that help us and the world adapt to a changing environment. I’d like to move that agenda forward. Arizona is one of only 3 states that does not have a full ban on texting and driving. It seems silly that texting while driving was banned only for minors - as if our reflexes and reaction times improve as we age? Texting while driving is dangerous for not only the driver but for everyone on the road, including children on the sidewalks and for those who bike to work and school. We would all be safer if texting while driving was illegal for everyone. Hyper partisanship is a tremendous threat. It frames every issue as a win/lose proposition, and doesn't solve problems. The goal should not be to beat “the other side,” but to address needs of the community and improve the quality of citizens’ lives. We all want a bright future for our children; good health; safe neighborhoods; the ability to make a living and provide for our families; and a government that protects and assists, but otherwise gets out of the way. In my work in leadership development, I have come to believe that leadership requires two key elements: Vision and courage. We need leaders who look to the future: 5, 25 and 50 years down the line. Instead, many legislators see the world in two-year segments, defined by election cycles. Effective leaders also have the courage to stand up for the unpopular when it is right, and to speak the truth when it is uncomfortable. Absolutely. 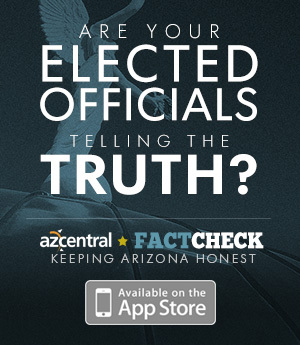 Those tax dollars belong to Arizonans. It does not make sense to leave these dollars sitting in an account when there are children in Arizona who desperately need them now. The Federal government allocated more than $5 billion dollars to benefit children and their families across the country. $56 million of those dollars belongs to Arizona. This money would help thousands of families gain access to quality child care, which in turn, benefits the entire state of Arizona. It has an incredible return on investment. Providing more families access to child care will reduce instances of child neglect, reduce the foster care burden on the state and benefit the economy allowing parents struggling to make ends meet the ability to secure steady employment. If the need, and the responsibility taken on is the same, so then should be the compensation. Foster children living with family members deserve the same access to opportunity. Fairness matters.